So many people ask me about my skincare routine. I wanted to share how I nourish my skin daily. I’m 47 years old and I have been using essential oils in my skincare routine for over 15 years. It’s totally possible to have glowing skin in your 40’s. And I am the first to tell you that I don’t have perfect skin. I have struggled with combination and sensitive skin for a very long time. I switched to organic skincare when I was 30 years old and it was right around that time that I started to also incorporate Rose and Chamomile essential oil into my skincare routine. 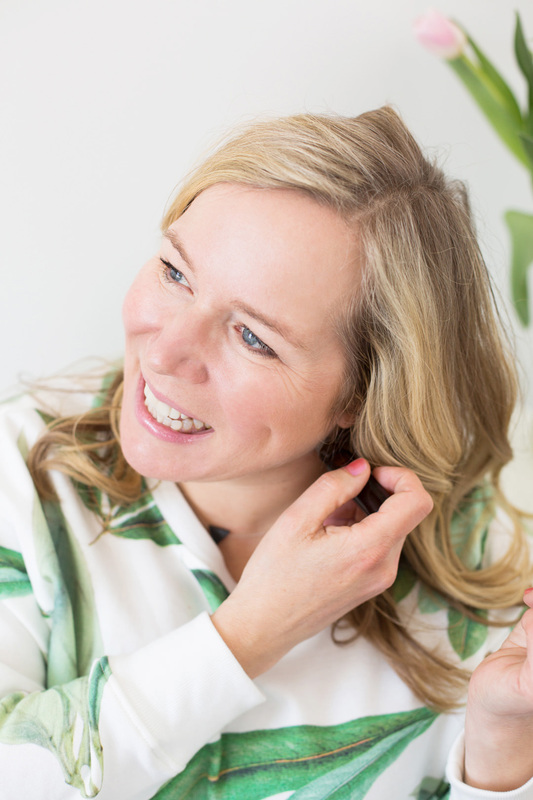 In my early 40’s I started to get a lot of redness (I was never diagnosed with Rosacea, but it is something that I have also struggled with). I started to really look at what I was eating and started to take note if certain foods contributed to my skin issues, and of course being in my 40’s my hormones have also been changing. So there are always many factors to consider. I also love to live outside all year long and our Canadian winters (I have skied for 43 years) can also contribute to facial redness. 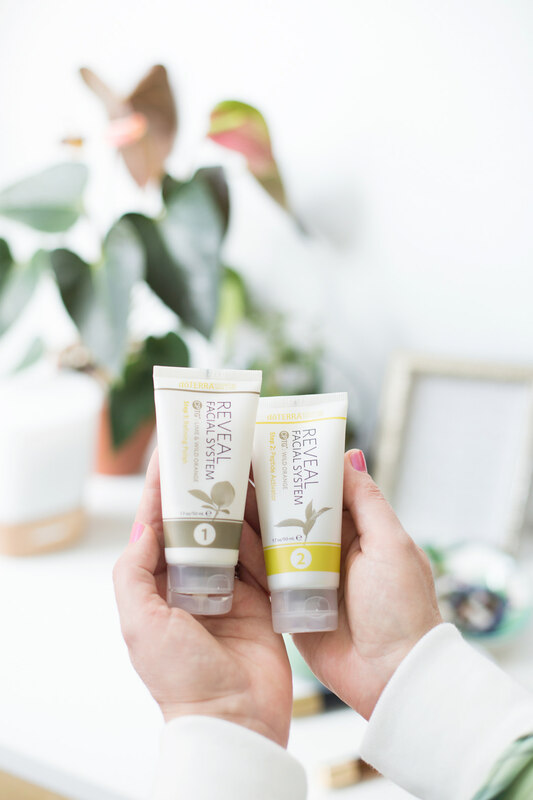 So, it’s important to nourish your skin daily and develop simple routines using the best plant-based products that you can find as well as pure essential oils. I am passionate about plant-based skincare and green beauty. 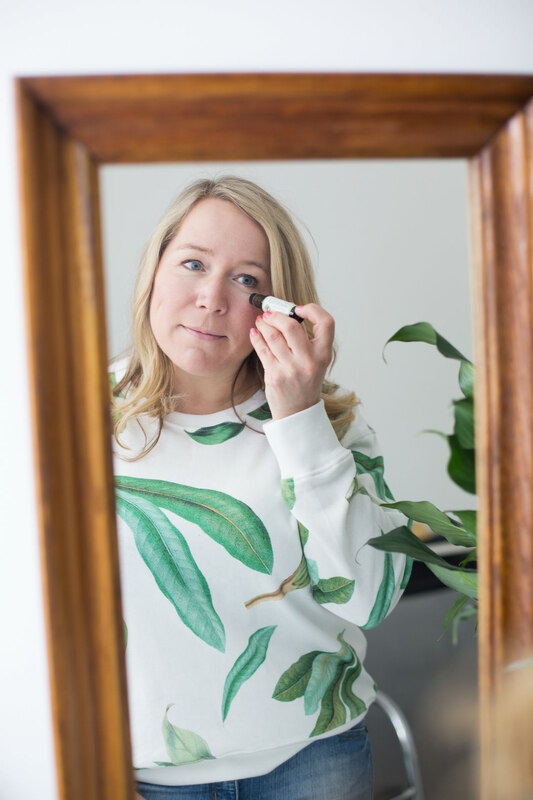 Teaching women how to make simple swaps in their everyday beauty and skincare routines that will also impact their overall health is a message that I will continuously share. I am not an expert by any means and I am sharing what I personally do to achieve that glow. I have researched a lot over the years and I am continuously learning what I can do to better my skin. Head over to the EWG.org and you can look up lots of different brands and how they rate for chemical toxicity. Download the Think Dirty app. Do your research. Many beauty and cosmetic products contain harmful ingredients and toxic chemicals that can disrupt your hormones and are simply not good for your overall health. Whatever you put on your skin is absorbed into your body. 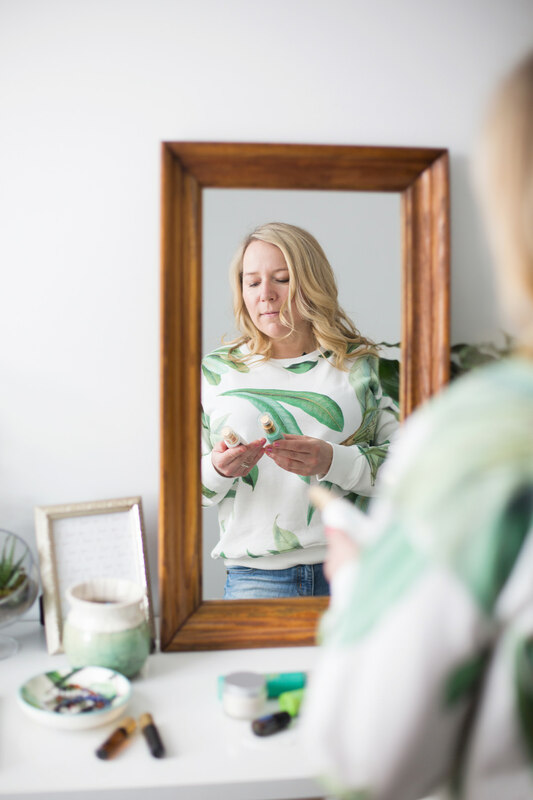 Making the switch to a safer alternative for all of your skincare and beauty products is a simple way to reduce your toxic load. Take note of ALL the self-care and beauty products that you are currently using. This includes cleansers, moisturizers, toothpaste, deodorant, shampoo and conditioner, hair products, lip balms, perfumes, nail polishes and cosmetics. Look up the products that you are using on the EWG.org or in the Think Dirty App. Labels on cosmetics and body care products are misleading because the beauty and cosmetic industry are not regulated. Find more information on chemicals that you should avoid in your body care products and cosmetics on the Environmental Working Group website. Switch to a plant-based skincare line. I have used organic skincare products since I was 30 years old. I started using the dōTERRA Veráge skincare line about a year and a half ago. 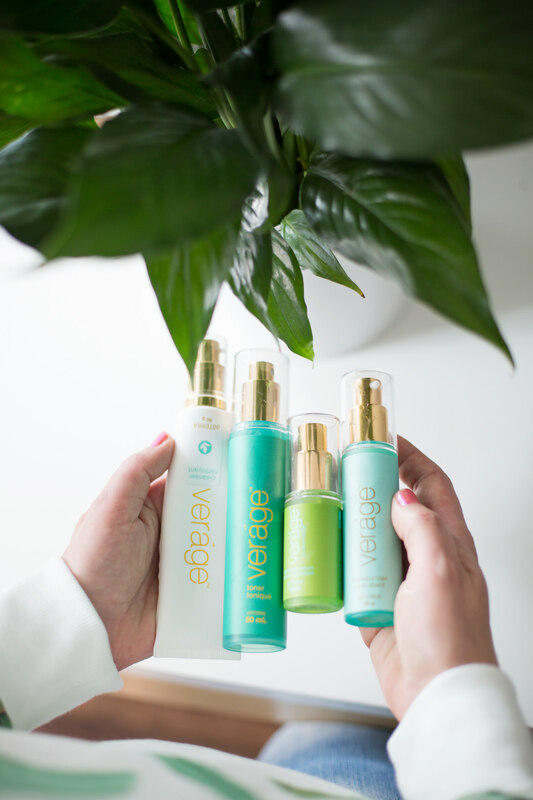 The Veráge skincare line contains a cleanser, toner, serum, and moisturizer. I love this beautiful skincare collection! It contains natural ingredients, dōTERRA essential oils, emollients and plant extracts and leaves my skin glowing and hydrated. Veráge will nourish and hydrate your skin and reduce the visible signs of aging. it smells absolutely amazing! The Veráge Immortelle Hydrating Serum is my favourite! 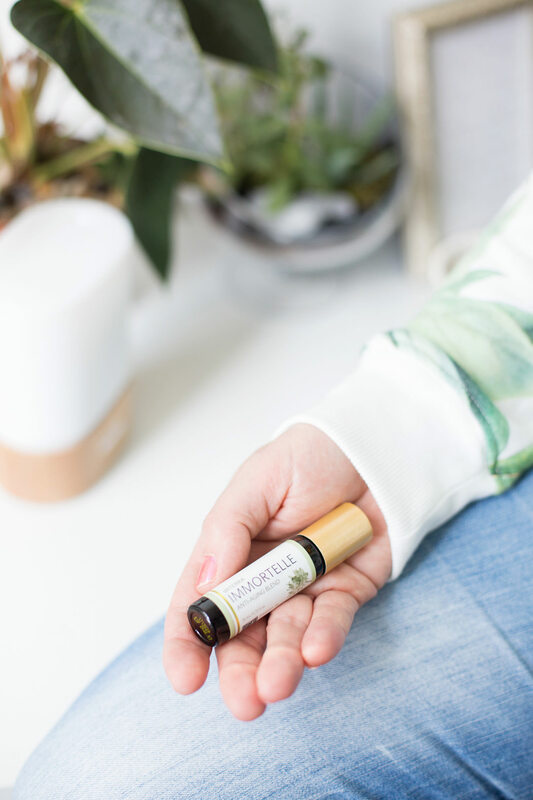 It contains Frankincense, Hawaiian Sandalwood, Lavender, Myrrh, Helichrysum, and Rose essential oils which all play a big role in supporting healthy looking skin! This serum hydrates deeply to reduce the appearance of fine lines and wrinkles. The formula also combines lipids of olive, jojoba, and macadamia oils to produce beautiful soft skin. I use dōTERRA Immortelle anti-aging essential oil blend daily as well both in the morning and at night. This blend smells divine and contains Frankincense, Hawaiian Sandalwood, Lavender, Myrrh, Helichrysum and Rose essential oils. These oils have been known throughout history for their beautifying benefits and help sustain more radiant youthful-looking skin. I apply a thin layer over my fine lines on my forehead and under my eyes as well as on my neck just before my moisturizer. While I use the Immortelle hydrating serum all over my face, I just use this blend to areas of concern. The Immortelle anti-aging essential oil blend can also be diluted with coconut oil, however, I use it straight out of the bottle. I recommend dabbing lightly with your finger to blend into your skin. Since using this blend for just over a year and a half now, I can definitely see a difference in my skin. Once a week I use the dōTERRA Spa Detoxifying Mud Mask. 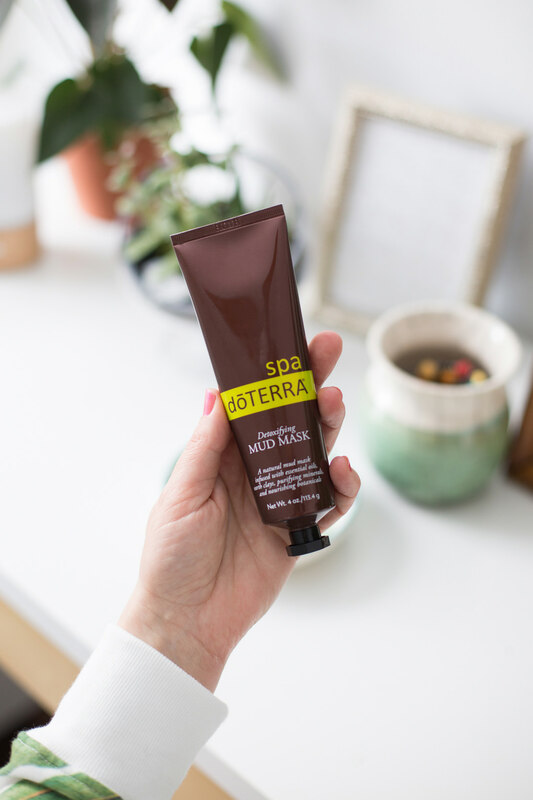 This all-natural clay mask is infused with Myrrh, Juniper Berry, and Grapefruit essential oils that promote purifying benefits while reducing the appearance of pores, fine lines, and wrinkles. If you have sensitive skin like me, you may find that your skin will be red after using this mask. This is a common reaction and the redness will go away after about ten minutes and your skin will feel super smooth. This mask also contains shea butter, malachite extract (provides detoxifying benefits), lentil seed extract and natural earth clay to help purify the skin and help reduce the appearance of oily skin. Once or twice a week, I will use the dōTERRA Reveal two-step facial system. It contains a refining polish and a peptide activator. I love to use this system a couple times a week for that extra spa-like facial treatment. I will use this after washing my face with the Veráge cleanser. This system contains Wild Orange and Lime essential oils which provide a purifying boost to the skin. The pumpkin enzyme assists in exfoliation process without irritating or stressing your skin. It also contains natural bamboo silk beads which provide gentle and effective exfoliation which is important for sensitive skin and leaves your skin fresher and younger-looking. In the winter I use the dōTERRA Hydrating Cream at night. This cream is luxurious and the cocoa seed butter helps keep your skin very hydrated. I find my skin gets dryer in the winter, especially because I am outside in the cold air so often, so I love to add this to my skincare routine in the winter months. I also add a drop of Blue Tansy essential oil to the cream, blend it together in my hand and then apply to my face and neck. Blue Tansy is well known for its skin benefits. The main chemical component Sabinene helps diminish the appearance of blemishes. Chamazulene, the chemical component that gives the oil the characteristic blue colour is known for its skin-soothing benefits. Your skin will be a bit blue after you use this, but that will go away. This is why I add this into my night time routine. On occasion, I use Rose Touch essential oil on my cheeks for redness. Rose essential oil is also in the Immortelle Anti-Aging blend and the Immortelle Hydrating Serum which I use daily. I also use Jasmine Touch essential oil in the winter to help with dry skin. Jasmine is also great for reducing the appearance of age spots as well. 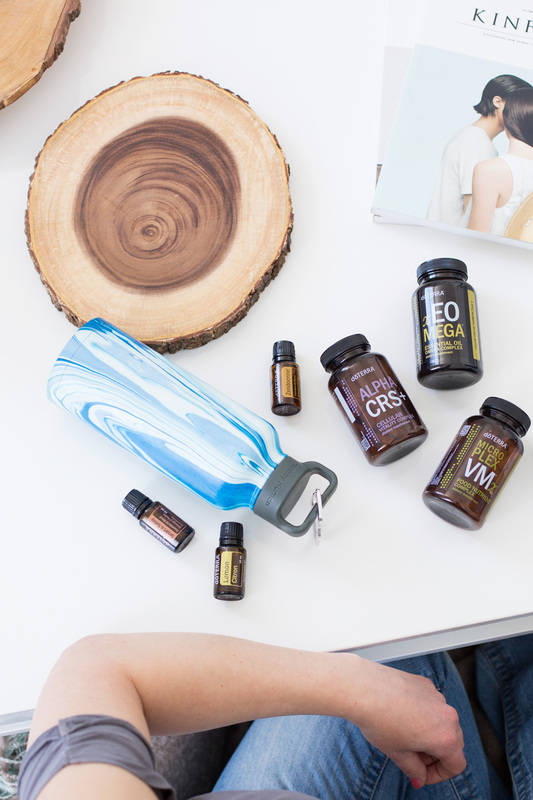 An important part of my daily self-care routine is taking the doTERRA Life Long Vitality supplements. These supplements are very high quality and infused with essential oils. I have found that after incorporating these supplements into my daily routine, that my hair is better, shinier and thicker and my skin is glowing. I love to share my beauty and skincare tips with my essential oil community. 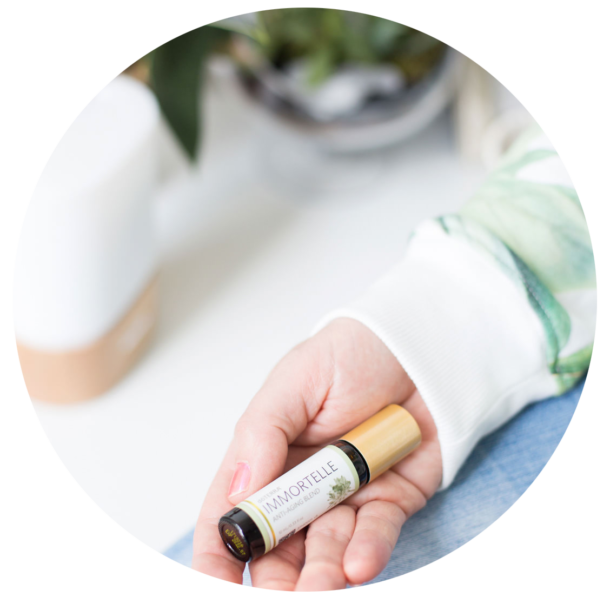 I am always creating new “purefume” blends and sharing simple tips on how to use essential oils in your daily self-care routine. Join my community and get in on all the fun! HOW TO HAVE GLOWING SKIN INTO YOUR 40'S THAT WILL HAVE 20 SOMETHING'S ASKING WHAT YOUR SECRET IS! FREE EBOOK: HOW TOHAVE GLOWING SKIN INTO YOUR 40'S THAT WILL HAVE 20 SOMETHING'S ASKING WHAT YOUR SECRET IS!